Depending on each region and maker, the images as below may be different from yours. GDS Mobile/ PC Manager / GDS account is same as CCC account. You can create the account on CCC webpage. 1. Go to the website. 2. Click [Register User ID]. 3. Read the paragraph below and click [next]. 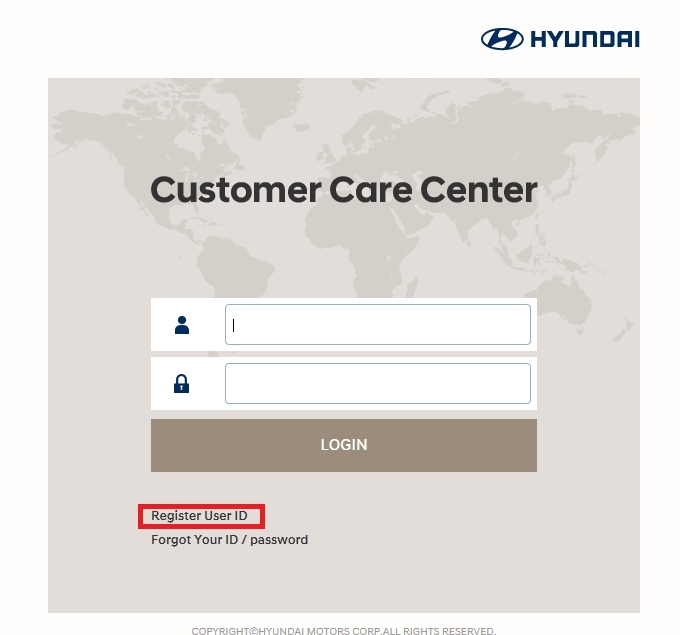 * If you have the old CCC(http://ccc/hmc/co/kr, http://ccc.hyundai-motor.com) account, you can transfer your account information from old CCC to the new one. 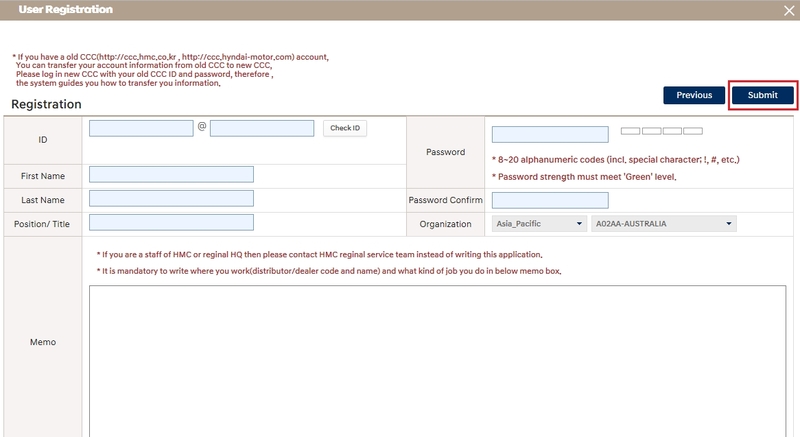 Please log in new CCC with your old CCC ID and password, therefore, the system uides you how to transfer you information. 4. Select the Region and distributor and click [Next]. 5. 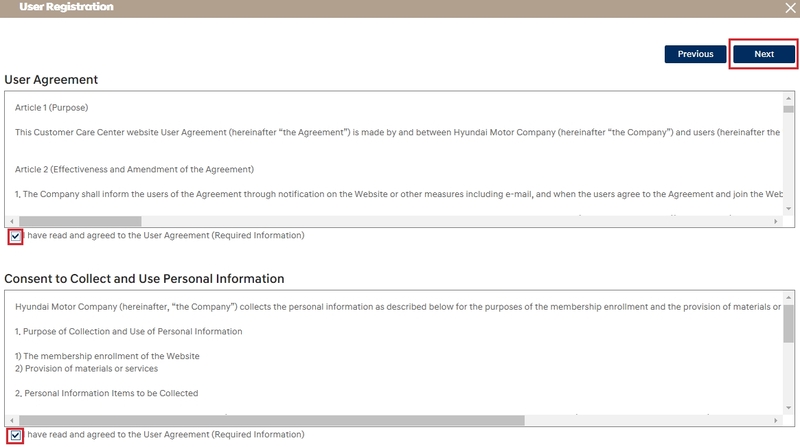 Read the agreement and the information below and mark the box and click [Next]. 6. Fill out your information in the blank correctly, then, click [Save] button. 7. After HMC confirm your information, she/he will approve your account. If you are urgent, please kindly contact HMC. How much is GDS mobile/KDS kit.